Dot, dot, comma, dash – smiley face in a flash. This children‘s rhyme points out the attributes that define a face: Eyes, nose and mouth. 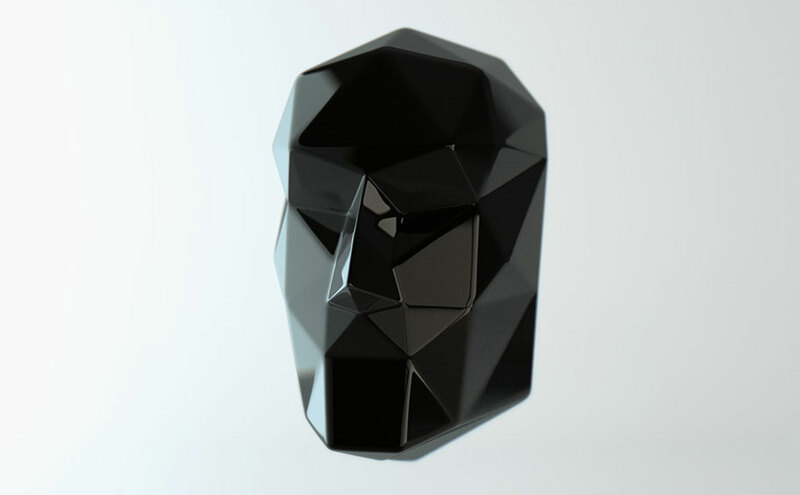 ∆75 is an attempt to create a mask based on those common features to explore the abstract nature of human expression. The mask is not to be worn, hence the absence of eyeholes. Various stages in the making of the mask. 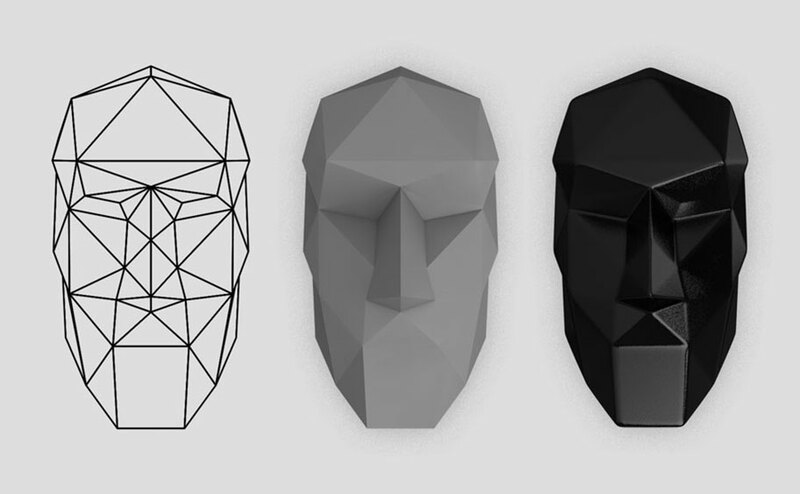 A polygonal mesh of a face was created and abstracted gradually to reach the highest degree of simplification while retaining all the essential characteristics. 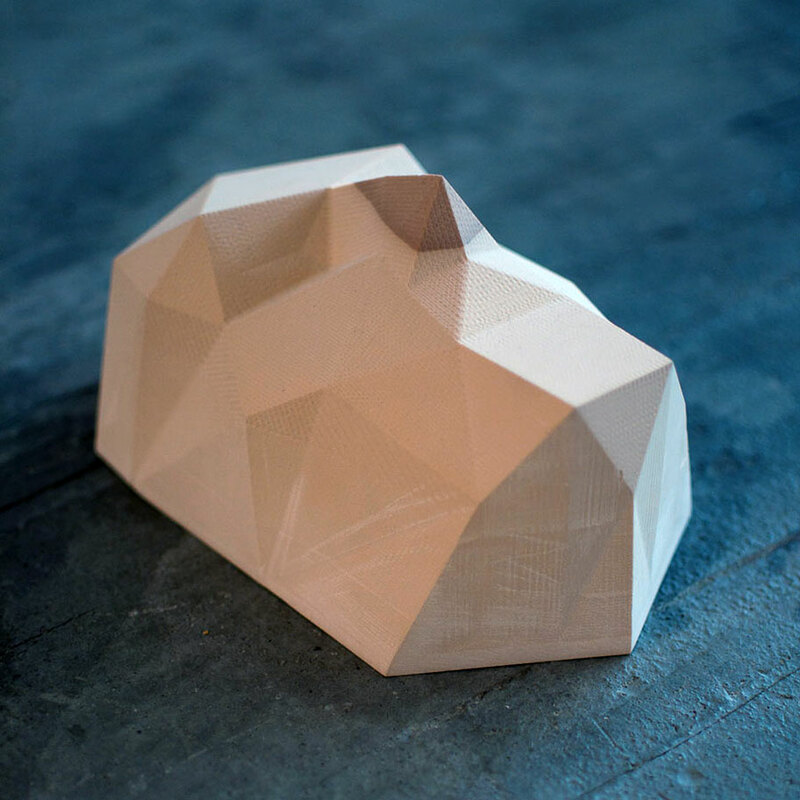 The data was then parsed to a CNC mill to shape the positive from a block of model foam. Due to technical limitations relating to the size of the milling head the sharp edges from the original design got lost in the process. It became necessary to sand the positive and drill holes for the air to escape in the third step of thermoforming. In the final step the positive was mounted on wooden a base plate and fixed within the thermoforming unit. It then underwent a standard procedure. 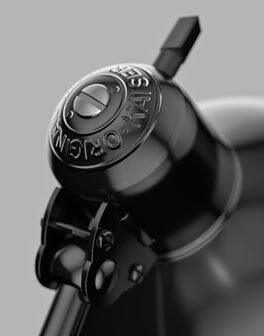 A slightly thicker plastic was employed to achieve a suitable coloring for the final product.